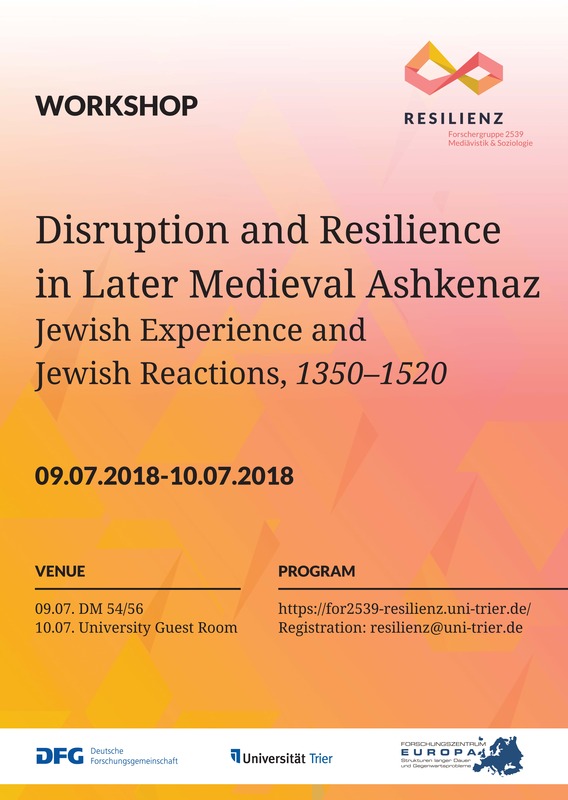 Our project investigates the ways in which members of the Jewish minority in Ashkenaz (i.e., in the German Empire and the neighbouring areas of German-speaking Jews) reacted to a variety of convulsive disruptions they experienced between the fourteenth and sixteenth century; it aims at identifying options of agency and strategies of resilience. The project aims at identifying the structural preconditions, agent constellations, as well as the precise moves that were suitable for securing, for at least some time, acceptable conditions for the continuation of Jewish religious life in Latin Christian surroundings. From this overall perspective, our investigation focuses on the impact and aftermath of the major disruptions of Jewish life since the mid-fourteenth century and the ensuing processes of coping, adaptation, and transformation. Two complementary studies are dealing with (1.) the atrocities of 13458–50 in the context of the Black Death, and their consequences in demography, economy, and social relations; and (2.) the aggregation of violence and political repression between c.1380 and c.1420 (‘cancellations’ of debt owed to Jews in 1385 and 1390–93; local pogroms, expulsions from cities and territories since 1390). The Later Middle Ages were a time of disruption and crisis for the Ashkenazi Jews of Central Europe. The pogroms during the years of the Black Death (1348–51) almost completely destroyed the Jewish settlement network. Following years of reorganization and relative prosperity, new anti-Jewish hostilities broke out during the reign of King Wenceslaus. The 15th century has often been characterized as a period of expulsion and decline, even if there were also signs of relative stability. On the whole, the conditions of Jewish life was changing drastically. How did Jews react to these disruptive changes? 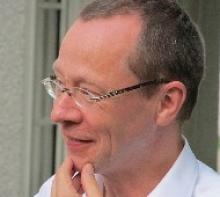 Can we observe processes of ‘resilience’? What does the concept of resilience offer towards an analysis of Jewish history? The position of the Jews as a distinct religious group and as a minority in a predominantly Christian society entailed specific vulnerabilities. What strategies did Jews adopt to counter threats and risks? What resources did they have at their disposal, and to what extent did their own dispositions (collective experience, religious traditions) frame the resilience processes? Were they successful? What were the side-effects? This workshop is designed to read selected sources and discuss findings that may reveal capacities of ‘coping’ (i.e., of short-term reaction and return), ‘adaptation’ (i.e., learning and anticipation), and ‘transformation’ (i.e., the emergence or development of new structures).